With record numbers of UK students crossing the Atlantic to pursue higher education, Gabriel Samuels finds out why three current expats made the leap themselves. ‘Narrow, uninspiring, excessively costly’: just a handful of the adjectives currently being used by critics to describe degrees offered by British universities. Meanwhile, this year saw the largest increase in British students heading to America to pursue a degree in a decade, with a 21 per cent upsurge over the past 10 years. With record numbers of UK students crossing the Atlantic, it is clear that many young people believe that the US offers a college experience that is a little more stimulating than anything back home. Luke Barnes, a Londoner in his senior year at Columbia University, resolved to make the switch while in his final year at Kings College School, Wimbledon. “I remember people at school deciding early exactly what they wanted to read – the medical students getting on one track, the history and arts people on another. I felt really constrained having to make that big decision at 17. With a career in journalism in mind, Luke accepted an internship in California in his second year, which Columbia funded: “If you have something extra-curricular you want to pursue over the summer, the college is always willing to listen and potentially fund you. Around 50 per cent of Columbia students are on a form of financial aid to reduce their fees, from a full scholarship to some form of work-study – making the UK’s elevated fees seem even less viable. “The thought of paying £9,000 a year really put me off the UK.” says Kirsten Tingle, who left the suburbs of Glasgow this summer to become a freshman at Pomona College in sunny California. “Even with free tuition in Scotland, attending uni across the pond is actually cheaper for me thanks to the incredible living package I’m on at Pomona. “I turned down St Andrews and Edinburgh to come here – and I couldn’t imagine studying in the UK now. Being an international student drastically changed my world view, almost from day one. Kirsten found out about Pomona through the Sutton Trust US programme, set up in 2011 through the Fulbright Commission, to give state school pupils a taste of student life in the States and help them along every step of the process. Now a freshman at Bennington, Francesca admits that she “struggled with homesickness” but that she has “settled in extremely quickly”. “I just felt there were so many more opportunities on offer in the US” she argues. “What average student at a UK university can say they have had a minimum of four internships before they have even graduated? “Right from the start, US colleges encourage you to get out there and prove yourself. Being immersed in a culture that’s not your own gives you a wonderful sense of independence and adventure. Last year the Sutton Trust US programme received 2,200 applications for just 175 places, and their students attend 42 different colleges across the United States. “When we started our US programme three years ago we knew that American universities could offer students great opportunities” says James Turner, the programme’s director. Would Francesca, Luke or Kirsten choose a UK university instead, if they had their time again? The answer is a resounding ‘no’. 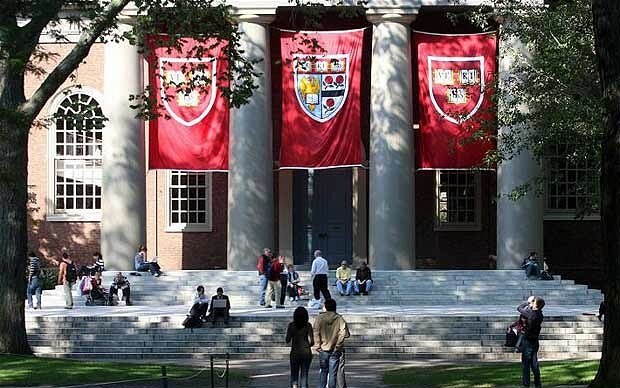 Don’t just think of US universities in the Ivy League. There’s a huge range of options, from tiny, personable liberal arts colleges – like Kenyon – to big, research-centric state schools – like UNC – so do your research. During application you will have to submit an essay and that should be thought of as the most important part of the application. SAT scores and predictions are important but you need to be able to stand out as an individual, and the essays give you that chance. The US application process follows a similar timeline to the UCAS system. However, it will seem a bit longer as you need to apply separately to each individual university. Apply as early as you can. This will usually mean you are competing with a smaller applicant pool and are generally more likely to be accepted if you have the proper credentials. Many colleges require interviews and admissions tests to be completed, so make sure you know when these will take place.